We had hoped to see Ralph “Pine Tar” Buxton pitch for the Oaks, famous (or infamous) for loading the ball with pine tar hidden in his mitt. The illegal stuff gave Buxton, a right-handed pitcher, a wicked “screwball” that broke back over the plate from outside on right-handed batters or in over the plate to lefties. To our disappointment, Buxton didn’t pitch on the day of our illegal entry. But the general quality of play didn’t disappoint. 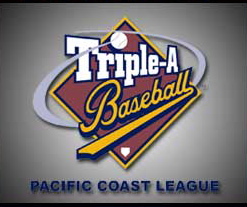 The Pacific Coast League was a classy minor league operation loaded with good ball players, many of whom would make it to the majors. It was my first look at professional baseball, and I was dazzled. Even more memorable, however, was the behavior of a cluster of Oaks fans who sat in the right field bleachers, just behind whoever played defense in right field. They chose to torment the Padres’ right fielder when the Oaks batted, and the torment amazed me, a kid from small-town Concord who had never seen pros play or heard fans at a pro game indulge in verbal abuse. They questioned the Padres player’s manhood, the size of certain key body parts, the alleged lack of virtue of his mother, the probable profession of any sisters he may have had, and added a stream of other demeaning queries. The Padres right fielder took it all without showing any sign of dismay. At the end of the game—the Padres won—he caught a fly ball for the final out, turned to the bleachers, tossed the ball under hand to his tormenters, and, still poker faced, trotted off the field. Not quite an example of Hemmingway’s definition of courage—grace under pressure—perhaps, but a gesture showing real professional aplomb. I was impressed, and it made a perfect end to a memorable afternoon. I’ve had other memorable afternoons since then in Emeryville, but this one still has a special glow. breaking and entering has never seemed so exciting or objectively good. Go Oaks! I am shocked, SHOCKED to hear of Bill Reuter’s criminal activities! 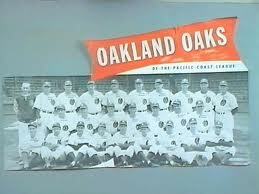 Another crime: since the ball park was in Emeryville, the team and mascot should have been the Emeryville Ems, not the Oakland Oaks. Emeryvile was dissed by this Oakland reference.